I remember an energy healing session that I had some years ago, when I was experiencing intense anxiety. At the point I finally sought help, my energy was a mess, extremely unbalanced, and I was anxious to the point of being non-functional. The healer had me widen the chakras on the soles of my feet to the size of dinner plates, allowing me to reconnect strongly to the earth energy. After just that one session, my energy never again got that unbalanced. Just massaging or holding the feet can be a powerful way to bring people into their bodies, calm them, and help them ground and reconnect to earth energy. Other forms of physical comfort such as heat can also be helpful. Feet are related to the first chakra. 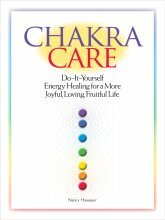 Working directly on the 1st chakra isn’t possible (in that you would never place your hands directly on a client’s body in the area of the 1st chakra). Working with the feet provides a good direct alternative and is grounding, calming and very supportive for the root chakra. There are also important chakras in the soles of the feet themselves. Either working in the field or working directly with the physical soles of the feet, you can open the foot chakras to help your client bring in more earth energy. Two important acu-points are Kidney 1 (sole of foot) and Liver 3 (top of foot) By holding both of these simultaneously, you can create a strong energy flow. You can easily do that with your thumb and 2nd or 3rd finger when your client is lying on a treatment table. As I’m doing any of these techniques, I often verbally guide people to open their foot chakras, feel the energy flow, connect to earth energy, etc. I often encourage people to pamper their feet with self-massage (tennis balls are good for this), foot baths, and really comfortable footwear. In your sessions, or with yourself, do you do energy healing for feet? If so, how? Return from Energy Healing for Feet to Energy Healing Techniques main page.